Pangolins, or Scaly Anteaters, are fascinating creatures. The eight pangolin species are found in Africa and parts of Asia, and they're the only mammals whose skin is covered in scales. 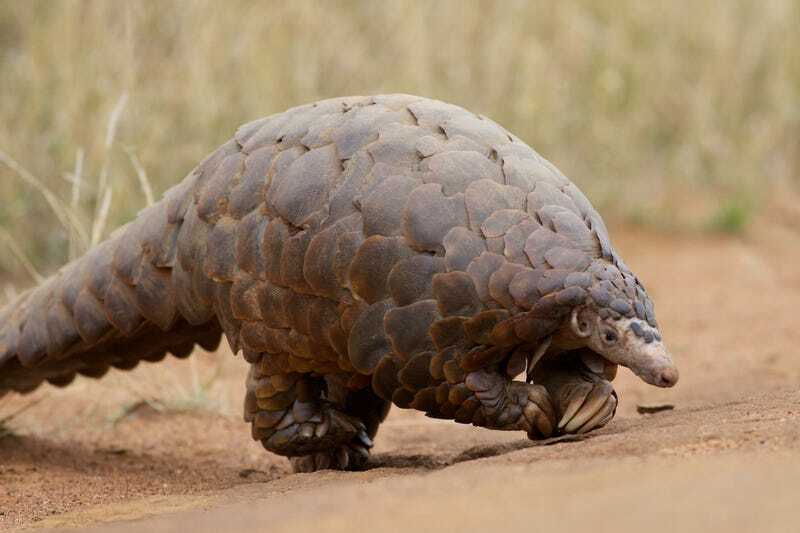 The scales, which harden as a pangolin ages, are made of keratin. The substance is found in human skin as well, but is best known as the hard stuff that makes up our nails and the claws of other mammals. But that's not the most interesting about the pangolin, by far. Not by a long shot. You see, the pangolins harbor a much deeper secret. Inside, they're all T. rex. Pangolins walk on their hindlegs, with their tiny little arms flapping around in the air. That's because it isn't really all that efficient to walk on their forelimbs, which are adorned with massive shovel-like claws. Rather than risking damage to their precious excavators, pangolins switch into rear-wheel drive when they need some extra get-up-and-go. They lollop along on their hindpaws, using their heavy tails like counter-weights. This gait-swapping strategy is known as 'faculative bipedalism'. Watch a pangolin walk around and you can't help but imagine them as tiny mammalian theropod dinosaurs. 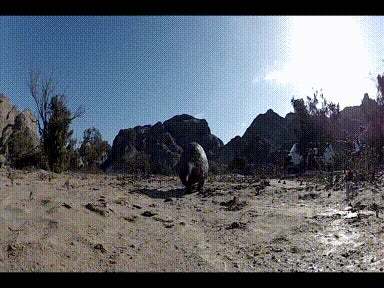 Head on over to Earth Touch for more great gifs.